Tata Safari rules off-road trails and stands out in the crowded city roads of India. Know the features & specifications of Tata Safari Dicor (LX, EX, VX & EXi ) with this review. 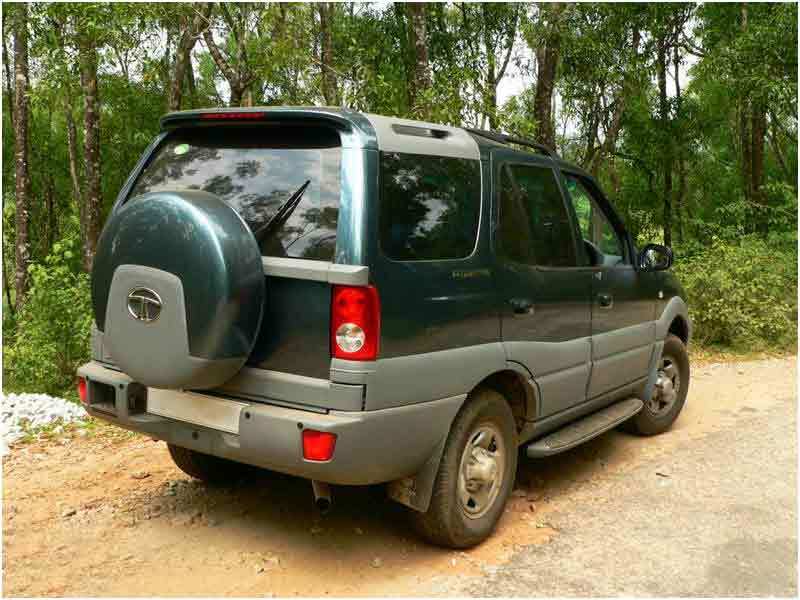 Tata Safari is considered to be one of the best off-road cars in India. 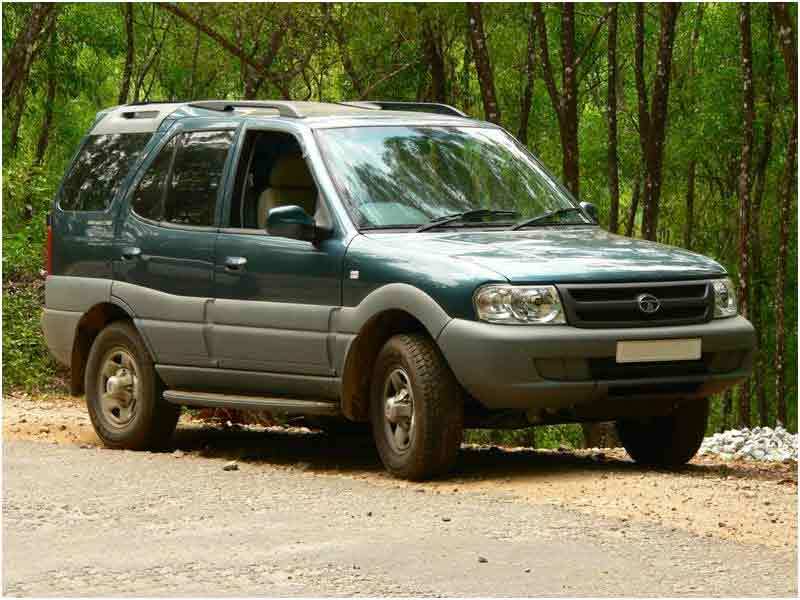 The sports utility vehicle (SUV) is an indigenous product of Tata Motors India Limited. It was initially launched with a 1.9 liter Turbo Diesel engine. This was followed by the release of Safari DICOR and petrol-driven Tata Safari, in 2005. Powerful engine, sporty looks and superior performance on rough terrain, together make this car a hit amongst the Indian car connoisseurs. The diesel version of Tata Safari is powered by 483 DL Turbo-Charged Inter Cooled engine, generating a maximum output of 90 PS @ 4300 rpm and a torque of 190 Nm @ 2000-3000 rpm. The latest DICOR version comes with a 2.2 L 16 Valve DOHC VTT DiCOR engine, which delivers 140 PS of power @ 4000 rpm and maximum torque of 320 Nm @ 1700-2700 rpm. The petrol variants of Tata Safari are powered by 486 PL MPFI engine, with a maximum power of 127 PS @ 5630 rpm and torque of 198 Nm @ 3750 rpm. The latest models of Tata Safari have undergone some significant facelift. The attractive features of the car include new front grille with chrome effect, new spare wheel cover and sparkling head and tail lamps. New bumper grille and sump guard with chrome effect add to the overall appeal of the SUV's exteriors, while the side footstep allows easy ingress and egress. Tata Safari offers a comfortable ride for seven people. The luxurious, two-toned beige interiors of Tata Safari are very spacious. Faux wood finish on the central console looks classy, while the trendy instrument cluster and gear knob add to the overall appeal. The spacious glove box is equipped with a lamp. DVD player located on the central console and LCD screens mounted on the front seat headrests provide wholesome entertainment, while you are on the move. The height adjustable driver's seat of Tata Safari allows the driver to have a comfortable view. Rear seats provide the right amount of lumbar, thigh, and shoulder support to the passengers. The four-wheel drive system allows easy navigation through highways as well as off-road trails. There is no need to worry when your Safari is parked in a poorly lit area. The puddle lamp takes care of it, by illuminating the area along the side of your car. Tata Safari is fully loaded with safety features. Dual front air bags self-inflate in the even of sudden collision, to protect the driver and co-driver from impact of a jerk. Antilock Braking System (ABS) helps the passengers to stay in control when sudden brakes are applied on slippery roads. Anti-submarine seats protect the driver and front seat occupant during accidents. Three-stage collapsible steering column of Tata Safari reduces injury to the driver's chest in case of full frontal collision. Other safety features of the automobile include child safety locks on rear door and trail gate, twin pot disc brakes, headlamp leveling and adjustable WELR seat belts. 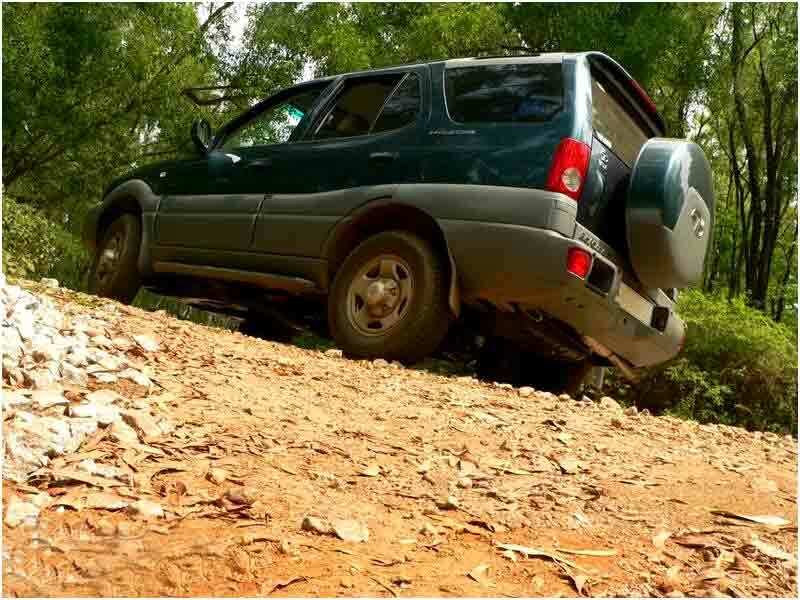 All in all, when in Tata Safari, you can stop worrying about your safety. Tata Safari is available in three models - 4x2 LX TCIC, DiCOR 2.2 VTT and MPFI EXI. The DICOR version is available in three variants - EX, LX and VX. Tata Safari is priced between Rs. 6.50 and 11.50 lacs. The SUV is available in attractive colors that include Light Gold, Arctic Silver, Quartz Black, Passion Red, Mountain Green, Steel Blue, Pearl White, Cycus Grey and Arctic White. As a luxurious SUV with spacious interiors, Tata Safari generates an average mileage of 12-15 kmpl on all its diesel variants with manual settings.